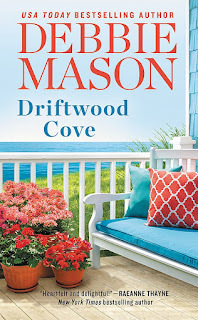 I love second-chance romances and Debbie Mason has written another good one in her Harmony Harbor series with some pretty significant obstacles between our hero and heroine and their happy ending. When Shay Angel and Michael Gallagher first met ten years ago, she was a teenager living with her wrong-side-of-the-law uncle, and he was the privileged son of a politician, being groomed by his social-climbing mother for the "right" kind of life. Shay and Michael fell hard for one another that summer but a wrong choice and his parents' influence had a devastating impact on Shay's life and ruined any chance they had of being together. When they next saw one another, eight years later, the attraction was still there, as were obstacles. Now, two years later, Michael's job brings them together once again. Will this time be the one that finally sees these two people who clearly belong together find the happiness they deserve or will stubbornness, and families, once again keep them apart? I've been intrigued with this couple and waiting for their book since reading Christmas With an Angel, the Harmony Harbor short story that introduces their story, back in 2016. (For a better understanding of Shay, Michael, and the forces keeping them apart, I recommend reading it before beginning Driftwood Cove.) I had the feeling, after reading the short story, that these two would bring action, friction, and fireworks to their book and boy, did they ever. Michael Gallagher is at a crossroads. He's left the legal career and political aspirations his mother wanted for him behind to follow his heart into the FBI. He's also left his life in Boston behind to move into a cottage on his family's property in Harmony Harbor, primarily for the benefit of his aging Irish Wolfhound who is going blind. I mean, really. A man who uproots his life for his ailing dog? How can you not love this guy? When he's assigned a new case involving mob killings he doesn't expect it to lead him to the woman he's never forgotten. He understands some things can never be forgiven and what Michael's family did to Shay was pretty harsh yet he wants another chance. But he also needs to solve the case and Shay is right in the middle of it. The question is...which side of the law is she on? Shay Angel is such a complex character. She paid a heavy price for a youthful mistake and is now determined to stay on the straight and narrow. Trouble is, with her family and her past, that's pretty difficult. She's stubborn, independent, and loyal to a fault. She's also vulnerable (though she hides it well), reluctant to trust (with good reason), and though it pains her to admit it, still has feelings for the only man she's ever loved. At times, I was so frustrated with her I wanted to throw up my hands and walk away while, at others, I just wanted to give her a hug and tell her it would all be okay. 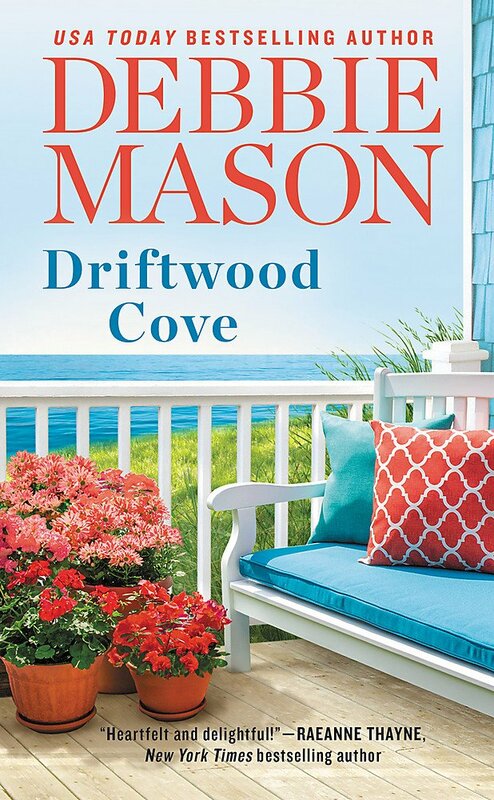 Mason has a talent for creating depth in her characters that brings out a multitude of emotions in this reader. The storylines of some secondary characters from previous books in the series continue to evolve while new characters are introduced who, hopefully, are destined for books of their own. Michael's mother, a real piece of work who does her best to control her sons' lives, is a character whose story takes an intriguing turn. I'm curious to see what Mason has planned for her. A standout in Driftwood Cove is Shay's assistant, and best friend, Cherry. The former Vegas showgirl is a real scene stealer. It looks like she might be staying in Harmony Harbor which gives me hope that we'll be seeing more of her in future books. It's not necessary to read the first four Harmony Harbor books before reading Driftwood Cove though doing so will give you a better understanding of all the characters who appear in this book. As I stated above, though, I do recommend reading Michael and Shay's introductory story, Christmas With an Angel first. Bonus: This book also includes a 90-page story by Hope Ramsay titled The Fairytale Bride. On my wishlist. I have enjoyed several of Debbie's books and have several others on my tbr. Glad you mentioned Christmas with an Angel, I had not heard of that one. The book does stand on its own, Patty but I felt like I knew these characters and their backstory much better for having read the short story first. This is such a good series. And I agree with you about Cherry, PJ. She was one of my favorite parts of this book. A big thank you for recommending Debbie Mason's books to me. I'm so glad you're enjoying them, Janga! Y'all have introduced me to Ms Mason's books, so I am just getting started with her stories. So far, I really like her characters. Thanks for the review. Cherry was something else. She had me laughing. Another great book. I enjoyed the book at the end. I am looking forward to enjoying so many captivating novels and reading outside during Spring which I so enjoy.